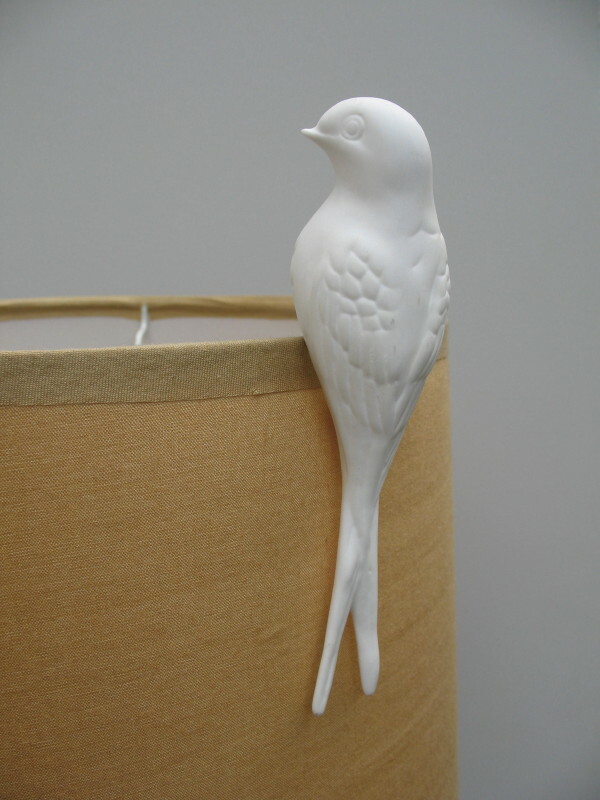 These beautiful handmade porcelain swallows are designed to perch atop a lampshade, turning any lampshade into a real design feature! They also cast a pleasing bird shaped shadow on a near wall. They can also clip onto the top of vases or glasses etc. or anywhere else you can find that works! Great as gifts or decorative accessories for your home.